The skyrocketing expense of fighting forests fires in the western U.S. could soar even higher without limiting home development on the fringe of national forests, including the Roaring Fork Valley, according to a recent study. The report by Headwaters Economics, a nonprofit research center in Bozeman, Mont., said only 16 percent of the wildland-urban interface area — where development abuts forested public lands — has been developed in the 11 Western states. As parts of the remaining 84 percent of undeveloped land gets developed, it will make firefighting even more difficult and expensive, the report said. The extensive report looks at how much development has taken place in wildland-urban interface in each of the 414 counties in the 11 Western states. That data shows that extensive development could occur in the three counties that contain the Roaring Fork Valley. Pitkin County has 4,789 homes constructed in the wildland-urban interface, the report said. 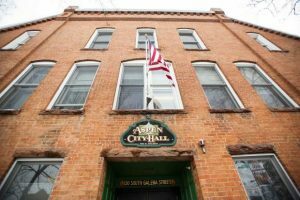 However, only 23 percent of Pitkin County’s wildland-urban interface is developed, the report said. Ray Rasker, executive director of Headwaters Economics, said there are several definitions of wildland-urban interface. For the purposes of this study, Headwaters Economics looked at development on private lands within 500 meters of forested, public lands. By that definition, 77 percent of the wildland-urban interface surrounding Aspen, Snowmass Village and rural parts of Pitkin County are undeveloped. About 9 square miles of Pitkin County’s wildland-urban interface has been developed, the study said. Another 30 square miles is undeveloped. The study used data from the 2010 U.S. census to determine wildland-urban interface development. 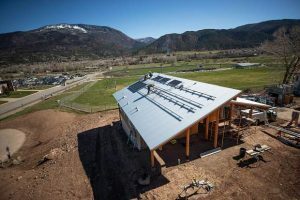 Pitkin County has some of the strictest growth-control measures in Colorado, so development will be limited, but a substantial amount of home development in the wildland-urban interface appears inevitable. The development potential in the fire-prone areas is even greater in Eagle and Garfield counties, which include significant areas outside the Roaring Fork Valley. Garfield County has 2,250 homes built within 500 meters of forested public lands, but only 8 percent of its wildland-urban interface is developed, the report said. About 10 square miles of Garfield County’s wildland-urban interface has been developed, while 109 square miles is untouched, the study said. 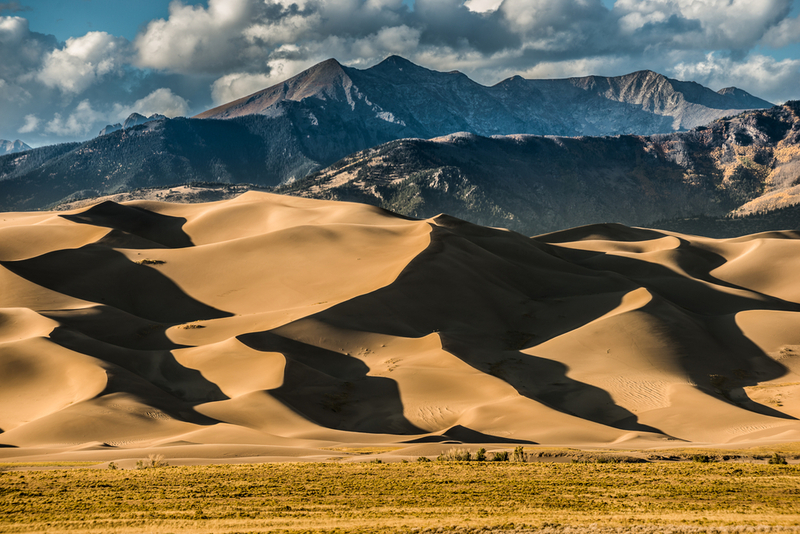 The report found that Garfield County has the greatest amount of undeveloped wildland-urban interface among the 64 counties of Colorado. It has the 48th-highest development potential in the fire-prone areas among the 414 counties of the Western states. Eagle County has 12,855 homes in the wildland-urban interface, but only 20 percent of those lands are developed, the report said. Development has covered 12 square miles of its wildland-urban interface but hasn’t touched 46 square miles. That makes Eagle County 10th among the 64 counties in Colorado for development potential in the interface area. Basalt Fire Chief Scott Thompson said wildfire behavior over the past couple of years has changed the view of many firefighters on what constitutes the wildland-urban interface. Embers driven by incredibly high winds sparked fires that burned houses near Colorado Springs and Fort Collins that wouldn’t have been considered in the wildland-urban interface in prior years, he said. For that reason, he considers all of Missouri Heights to be at risk even though not all houses are within 500 meters of forested public lands. The report by Headwaters Economics found that wildfires this decade are two times larger and three times more expensive to fight than a decade ago. Higher temperatures are accelerating the trends, the report found. For example, a 1-degree increase in the average summer temperature produces a 125 percent increase in the number of acres burned by wildfires in Montana, the study said. Higher temperatures also have extended the fire season. In addition, forest-management practices have made forests more susceptible to large, intense blazes for a variety of reasons, according to the study. Overgrazing in the West reduced grass cover and aided seedling growth. Logging of large pines led to an understory that was less fire-tolerant. Aggressive suppression eliminated low-intensity fires that prevented the accumulation of fuels. Rasker said public-lands managers now realize how valuable fires can be as a tool to limit catastrophic wildfires. However, the opportunity for using prescribed burns on public lands is reduced by all the development in the interface areas. As a result, the Forest Service and Bureau of Land Management must use costly mechanical techniques to thin forests and ease fire threat. “We don’t have enough money to thin our way out of this,” Rasker said. Encouraging or requiring greater safety practices among homeowners in fire-prone areas also has limited chances of success, he said. “We’re giving people a false sense of security that it’s OK to build everywhere,” Rasker said. Meanwhile, the federal government’s bill for firefighting soars. The Department of the Interior and Forest Service spent an average of $1 billion per year on wildfire fighting in the 1990s, the report said, citing federal data. The average is closer to $3 billion per year since 2000. Greater development in the wildland-urban interface comes at a price. The number of structures that have been destroyed by wildfires increased from an average of 932 per year in the 1990s to 2,970 in the 2000s, the study showed. In 2012, wildfires burned more than 8 million acres and resulted in $855 million in insured losses. “We haven’t seen insurance rates go up enough to make a person think twice about developing there,” Rasker said. Rasker said local governments in the West need to place stricter controls on developing in the interface. Local officials will likely only do that if there is pressure, such as the federal government forcing local entities to pick up a greater share of the costs of firefighting, he said. Cost-sharing arrangements between federal and local firefighters are often signed on the hood of a truck after a fire has broken out, according to Rasker. He believes agreements need to be in place in advance to make local governments responsible for more of the firefighting effort. That, in turn, will make them more responsible for preventing fires. Basalt’s Thompson said local entities are picking up an increasing share of wildfire-fighting expenses. Federal agencies and local fire departments, through county sheriffs, have mutual-aid agreements that require everyone to respond, when warranted, during the first 24 hours of a wildfire. Cost-sharing agreements kick in after that initial period, he said. Rasker said the report by Headwaters Economics has received extensive media coverage this summer because of the severity of the wildfire season. Policymakers also have taken notice, he said. The entire report is available at http://headwaterseconomics.org.